Established in 2011, Trada Casino has grown to become one of the most recognizable names in the highly competitive online gambling industry. Featuring a motto of fun, fast, and fair, Trada Casino bases its success on a number of factor, from a really versatile selection of slots and other games to fast withdrawals and dedicated customer support. The casino is licensed and regulated by the UK Gambling Commission as well as Jersey Gambling Commission, ensuring a safe and reliable gaming environment, further boosted by the IBAS seal of approval. Unfortunately, Trada Casino doesn’t accept players from the United States. 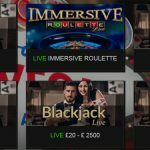 Although Trada Casino doesn’t advertise it anywhere on their site, new players can get a £/€/$5 no deposit bonus by using this “hack”. Register a new account and use bonus code NEW5. You’ll be credited with £/€/$5 in real money without making a deposit. 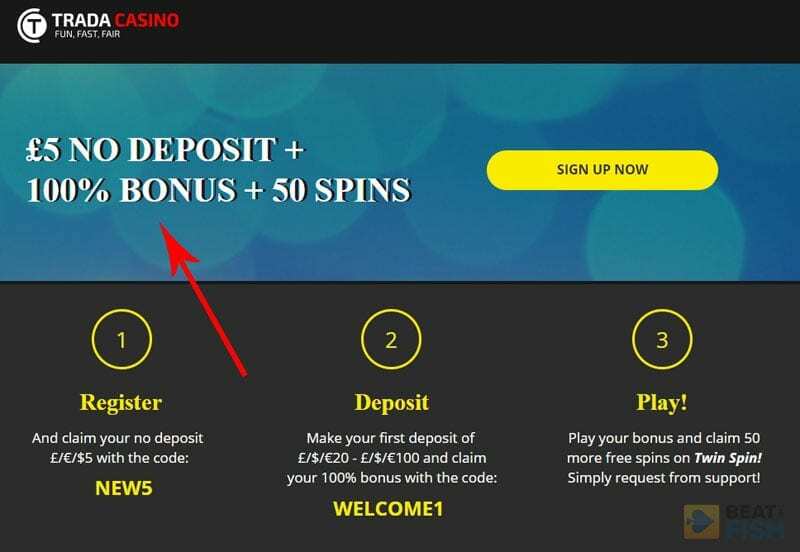 The no deposit bonus must be wagered 40x after making a deposit in order to withdraw it. If you deposit less than £/€/$10, you can withdraw up to $50. If you deposit more than £/€/$10, you can withdraw up to $100. Make sure you see this special landing page before you register to make sure you’ll get the £/€/$5 Trada Casino no deposit bonus. Visit Trada Casino with this link to see the 100% bonus landing page. Register your account and make a deposit between £/$/€20 and £/$/€100. Use Trada Casino bonus code WELCOME1. Open up Live Chat and request your 50 free spins on the Twin Spin slot. The 100% deposit bonus has a 35x wagering requirement before you can withdraw. The free spins also have a 35x wagering requirement. There is a second welcome bonus at Trada Casino that will boost your initial deposit by 200%. 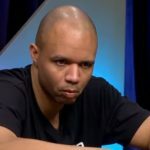 The maximum amount is capped at $/€/£25, so the bonus clearly is more aimed at recreational players than high rollers. 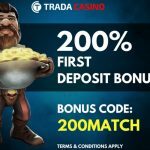 If you take full advantage of the Trada Casino bonus, you can get started with $/€/£75 (25 + 50) in your account, which is certainly a lot smaller than the online casino competition. However, the bonus will give you a solid bankroll to get started, have some fun, and potentially hit a large win. The bonus at Trada Casino comes with somewhat higher wagering of 50x the bonus. However, the good thing is, you’ll be playing with your own deposited cash first. That means that if you happen to win big before touching the bonus funds, you’ll be allowed to forfeit the bonus and cash out immediately without having to meet the wagering requirements. 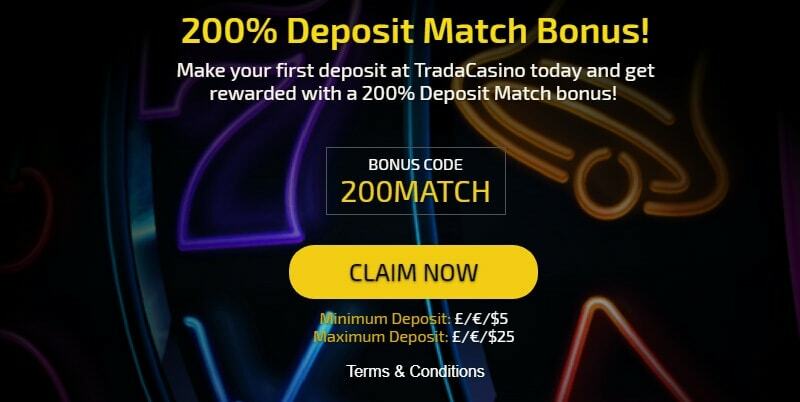 To claim the offer, you’ll need to use the Trada Casino bonus code 200MATCH. 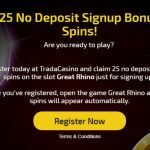 Aside from the no deposit bonus, Trada Casino is also giving players another free offer in the form of 25 free spins. This offer is open to everyone and the spins are added to your account as soon as you open your account with no strings attached. 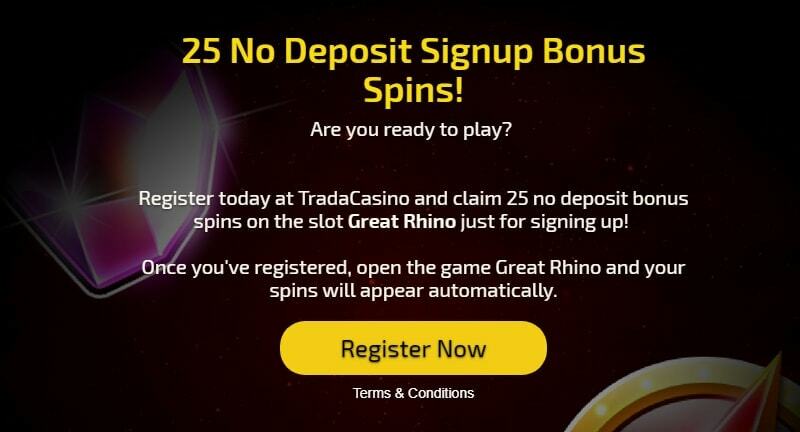 To take advantage of the Trada no deposit bonus simply log in once you make an account and open the Great Rhino slot. Your spins are credited automatically and will be waiting. 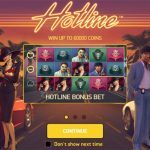 All winnings that come from the Trada Casino free spins are subject to 40x wagering and the maximum you can cash out from this no deposit bonus is $/€/£10. This isn’t a huge amount, but it is free money after all and you can get it with no risk involved, so it is definitely a player-friendly offer. If you’d rather have cashback on your first deposit instead of a bonus, Trada Casino offers an alternative. Use the bonus code CB100 with your deposit and you will get 100% cashback up to $/€/£100. The way it works is you’ll get $/€/£2 every time you wager $/€/£70 on slots, which is about 2.9%. The cashback money comes with no wagering requirements attached so you can do with it as you please. If you use this code, you’ll also qualify for 25% cashback on all your future deposits. 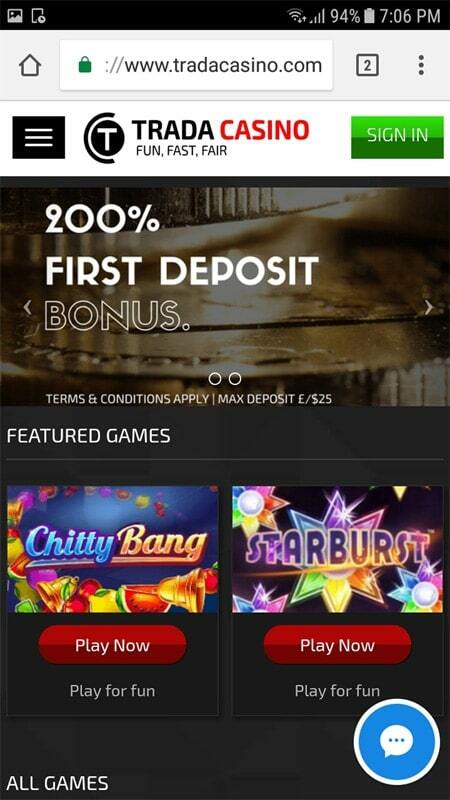 To trigger cashback on your reload deposits, make sure to use Trada Casino bonus code CB25. Trada Casino features a simple but stylish design that should appeal to both experienced players and those new to online gambling. The site is fully based on HTML5 rather than outdated Flash, meaning you can get started with the casino straight from any web browser with no download or installation required. 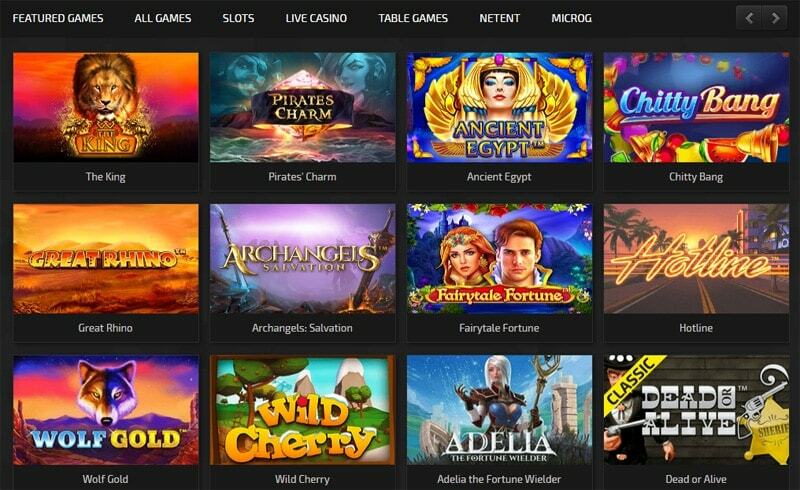 Games at Trada Casino are organized in several main categories and broken down by their respective suppliers alongside the search box for fine-tuning your results. 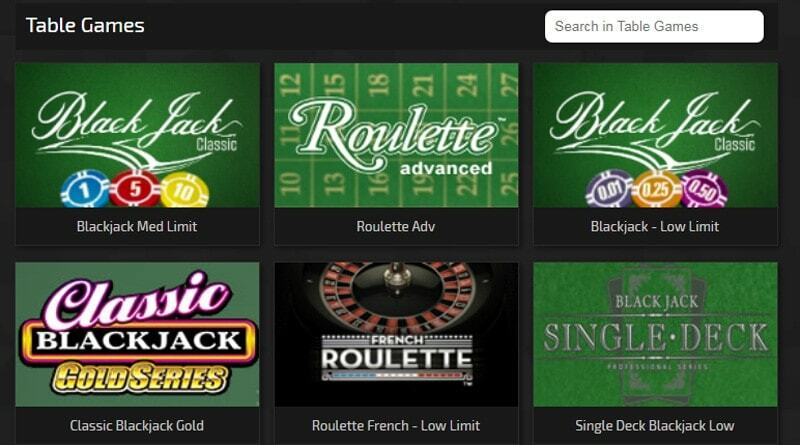 Having a few more game categories would be helpful, but once you get familiar with the casino this isn’t a problem. The casino caters to the growing mobile audience as well. Those who want to enjoy Trada Casino on the go can do so from a variety of devices (Android, iPhone, iPad, etc.) 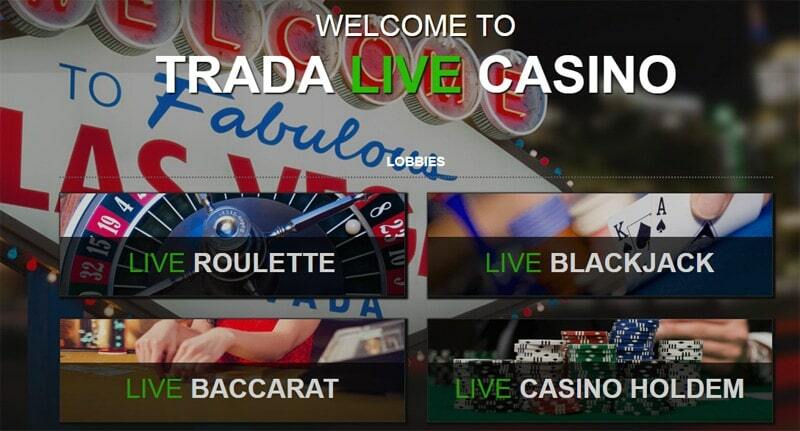 simply by visiting Trada Casino website from a mobile web browser and logging in. 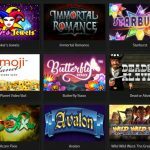 Players aren’t required to download or install any apps and the mobile version of Trada Casino offers pretty much everything you’ll find on the desktop site, so those who play on mobile won’t see a different casino game selection. A large selection of games is definitely one of the biggest selling points of Trada Casino. Most players expect a casino to offer them a large number of gaming titles they can enjoy without restrictions. This means Trada Casino players have hundreds of slots available to choose from alongside many electronic table games and video poker variations. 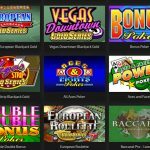 Speaking of slots, tradacasino.com features numerous popular titles alongside many newer games. Apart from slots, there is a decent number of electronic variations of roulette, blackjack, baccarat, and different casino poker games. 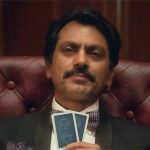 Live dealer tables have become a must-have for online casinos and players expect to have access to live games. Trada Casino has solved this problem partnering up with Evolution Gaming, one of the leaders in the live dealer niche. Like most modern online casinos, Trada Casino offers a variety of options for players looking to fund their accounts or request withdrawals. This includes all big credit and debit cards, many e-wallets, prepaid cards, and bank transfers. When it comes to withdrawals, Trada Casino processes them quickly and without any delays in most instances. If you use e-wallets like Skrill or NETELLER, you can expect to receive your funds the same day, while credit card and bank withdrawals can take up to few days. This mostly depends on your bank and card issuer. The minimum withdrawal amount is just $/€/£10 and there are no fees connected to withdrawals. 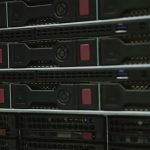 Trada Casino has a very strong reputation for its customer support system Player support is available via email and live chat, with live chat agents being around every day from 9:00 AM to 11:00 PM (GMT), seven days a week. Limited live chat hours are obnoxious, and I would recommend that Trada Casino add 24-hour live chat in the future. 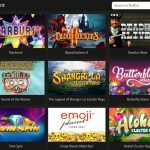 Today, there are hundreds of online casinos one can choose from, but there aren’t many as well-rounded, safe, and player-friendly as Trada Casino. 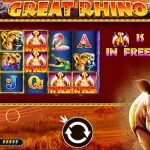 The best Trada Casino features include the mobile-friendly platform, the no deposit free spins for new players, the great selection of games, and fast and reliable withdrawals. Trada Casino has all the qualities you’d expect from an online gambling site. This is confirmed by thousands of players who are their loyal customers with very few legitimate complaints. The only real downside of Trada Casino is that they don’t cater to US players, but they couldn’t keep their gambling licenses if they did so there is very little they can do about it at this point in time. Other than that, a small bonus cap, and limited support hours, Trada Casino comes highly recommended from me.